Sterling Engineering & Fabrication, Inc. was founded in 1998 by Brian Stinson. Since the beginning, we have firmly believed that quality, competitive pricing, on-time deliveries and excellent customer service are all equally important, and strive to be the best source for custom steel fabrication for our customers. 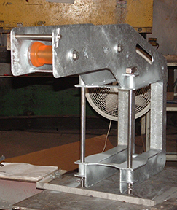 We specialize in structural steel, stainless steel, aluminum and exotic alloy fabrication. All of our work is performed by professionally-trained welders in accordance with American Welding Society and American Society of Mechanical Engineering standards. Each job is carefully inspected on site and must pass our strict quality control procedures before leaving our facility. 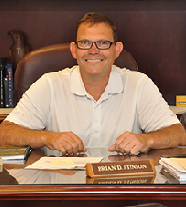 Coming from a family with a longstanding history of machinists and iron-workers, Sterling Engineering & Fabrication, Inc. founder Brian Stinson graduated from Auburn University in 1989 with a degree in Mechanical Engineering and a genuine interest in the textbook aspects of metal working. After college, he worked as a designer and quality inspector for a company that outsourced several million dollars in steel fabrication annually, experiencing first-hand an industry-wide lack of quality, on-time delivery and acceptable customer service. There was a real need for a fabrication company that could deliver on their promises, and Brian sought to remedy that need. In 1998, Brian founded Sterling Engineering & Fabrication with two employees. Since then, the company has grown to over twenty employees operating in a 15,000 square foot facility on 12 acres, and has successfully completed several thousand projects of varying size and difficulty. • We believe the work of our hands is always for the glory of God, and everything we do is first and foremost for his good purpose. Colossians 3:23-24. • We demand honesty and integrity in every situation. • Our company is our people. We believe that treating people with courtesy and respect is the only way to develop a productive, creative, and successful working environment, and we strive for that each day. • Almost half of our waking hours are spent at work. Therefore, it must be a safe, comfortable, and fun place to be. • Work is important and provides a living for us, but God and family come first. We don’t reverse this order when the work day starts, and we don’t expect our employees or clients to, either. • Perfection is not reality. It is our ability to minimize mistakes, and how we respond to them that really matters. • Our customers are responsible for the survival of our business and will be treated accordingly. • Suppliers that share our values are critical to our success. • Our customer’s commitments are based on ours, so we make them with care. We do what we say we will. • We are proud to be an American Manufacturer and support American-made products whenever possible. 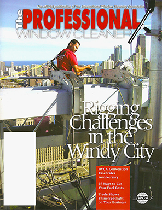 Sterling Engineering & Fabrication’s work for a building in Chicago was featured on the front cover of “The Professional Window Cleaner Magazine,” the official publication of the International Window Cleaning Association.